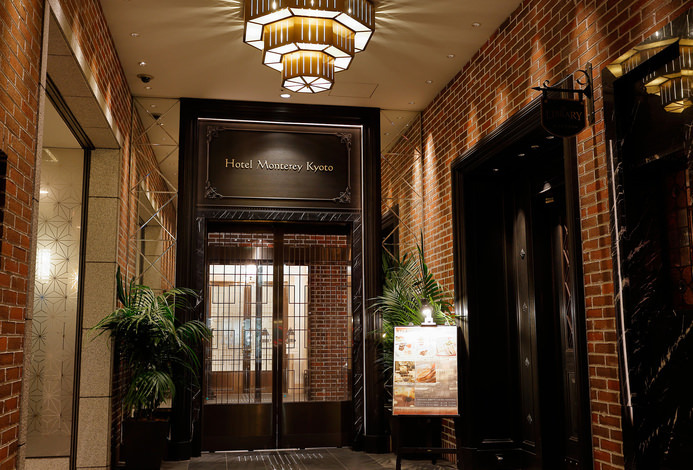 It’s 3 stops by subway from Kyoto station and a 5-minute-walk from Karasuma Oike station. 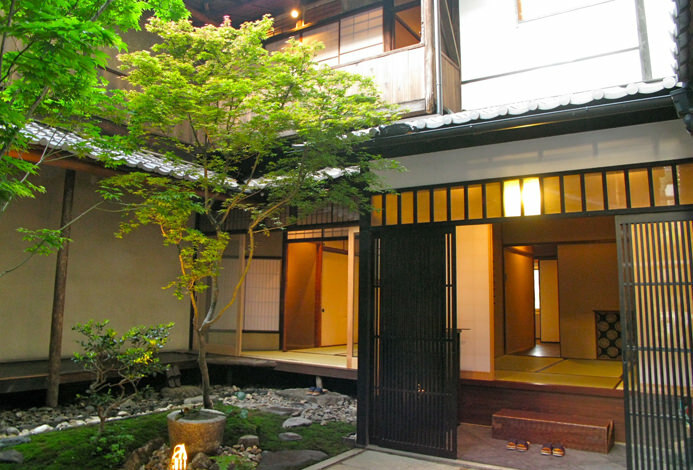 We, at Matsui Bekkan Hanakanzashi that is located in the middle of Kyoto, look forward to your visit. There are 30 rooms in total. 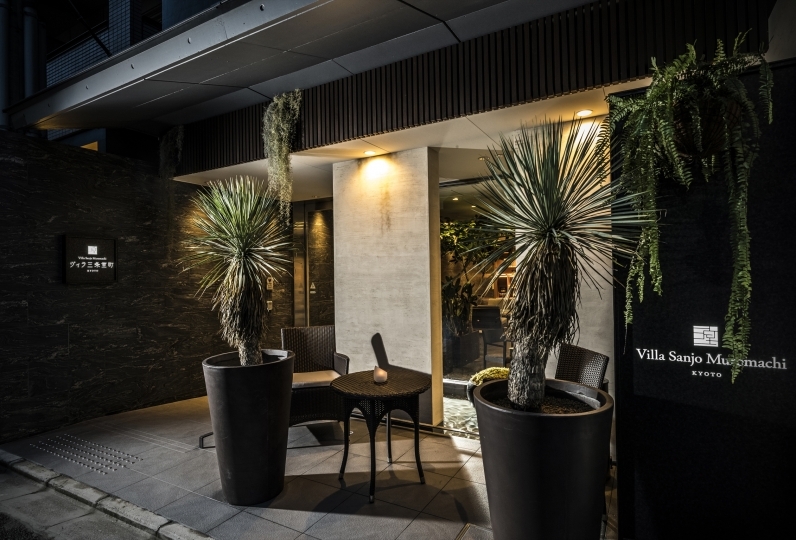 Please make yourself comfortable and relax in a cosy modern-Japanese-style room. Incense coming from Satorino-Mado, round shaped-Japanese traditional windows. 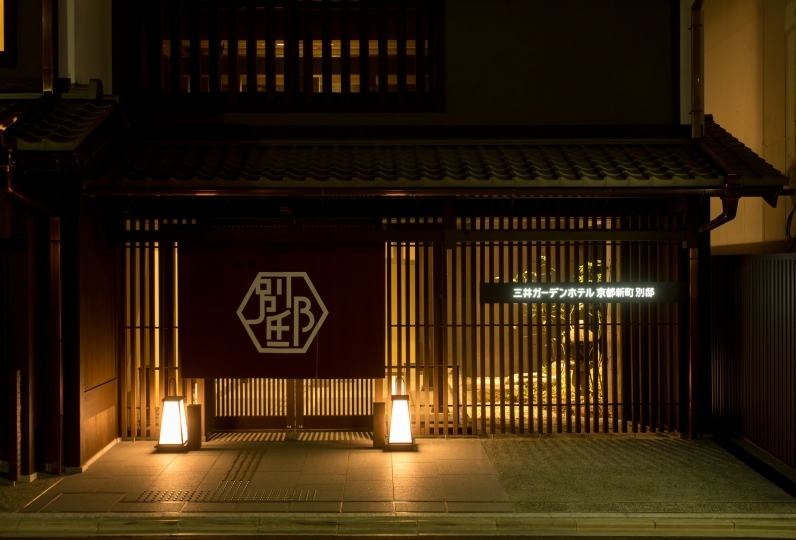 Please have a brief rest and a quality time during your trip in Kyoto. Please enjoy a traditional and seasonal Kyo-Kaiseki cuisine to your heart’s content in your room. A large public bath is on the first basement floor. It’s available from 4:00 p.m. to 1:00 a.m. at night, and from 6:00 a.m. to 9:00 a.m. in the morning. Each room also has its own bathroom. There is no parking lot at the hotel. People who plan to drive here, please come to the reception first. We’ll show you a toll parking lot closed to the hotel after we keep your baggage. You can get a massage in your room. There are two ways to get there. Either you transfer at JR Kyoto station and take the Karasuma line (subway). It’s a 6-minute-walk from Karasuma station, or you get off at Hankyu Karasuma station, and it takes you 7 minutes on foot.